“Oh, the sun [did not] shine bright on my old Kentucky home…” In fact, the driving rain increased just as “My Old Kentucky Home” was being sung by the crowd at Churchill Downs in Louisville, Kentucky. 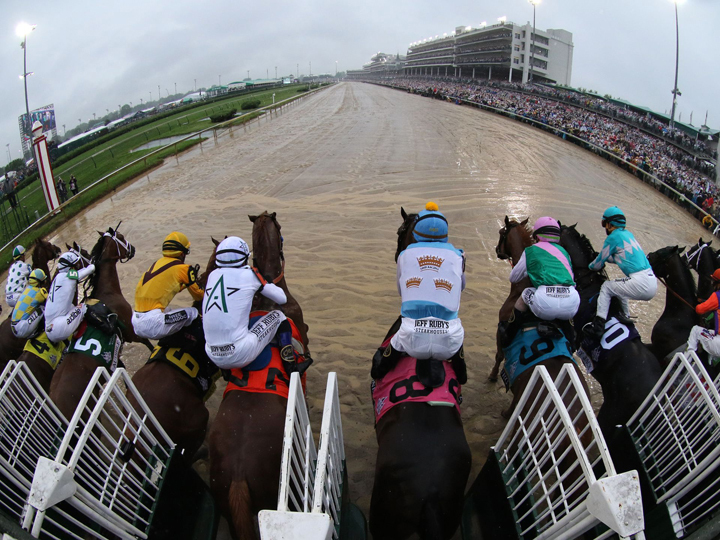 The 144th running of the Kentucky Derby, Saturday May 5, 2018, was declared by the National Weather Service as the wettest in history, with three inches of rain falling on a crowd of 157,813 in attendance. Justify became the first horse since Apollo in 1882 to win the Kentucky Derby as a three-year-old – without having raced as a two-year-old. Justify also ran the third-fastest half mile in Derby history in the pouring rain on an extremely sloppy track. Final time was 2:04.2 for the 1¼ mile race. Justify remained undefeated in his four career starts. 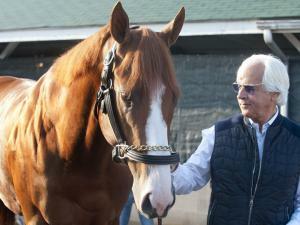 Baffert was pleased that the horse “got away clean” out of the starting gate. 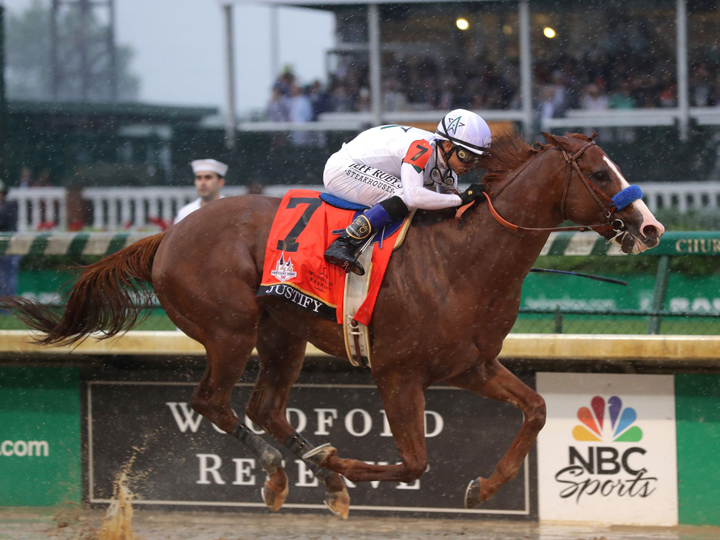 Justify came out of the number 7 spot running strong, and Smith settled him into second place behind Promises Fulfilled, who set the pace early, avoiding the mud and the traffic of the 20-horse field. 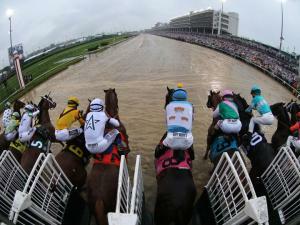 The two horses set a blistering pace, going the first half-mile through the muck in 45.77 seconds. Then came a challenge from Good Magic, trying to close in on Justify’s lead. But once Smith asked Justify for more speed, the horse responded like a freight train. “Supercharged,” is how Baffert described it. Going through the final turn into the straightaway toward the finish line, Justify took the lead and went on to win by 2½ lengths. Baffert ranks Justify “up there with my top ones” such as American Pharoah. “These are great horses and it took a great horse to win today,” he said. Order of finish: Justify, Good Magic, Audible. Rebel Stakes and Arkansas Derby winner Magnum Moon finished a disappointingly 19th out of the 20-horse field.